Born in London where his actor parents were touring in 1727, Francesco Casanova spent his youth in Venice. His brother, Giovanni Giacomo, the adventurer and lothario, records in his Mémoires that Francesco trained in Giovanni Antonio Guardi's studio for ten years, until 1749. In 1752 he went to Dresden, where he was influenced by Philips Wouwerman, an influence detectable in the subject of this picture. 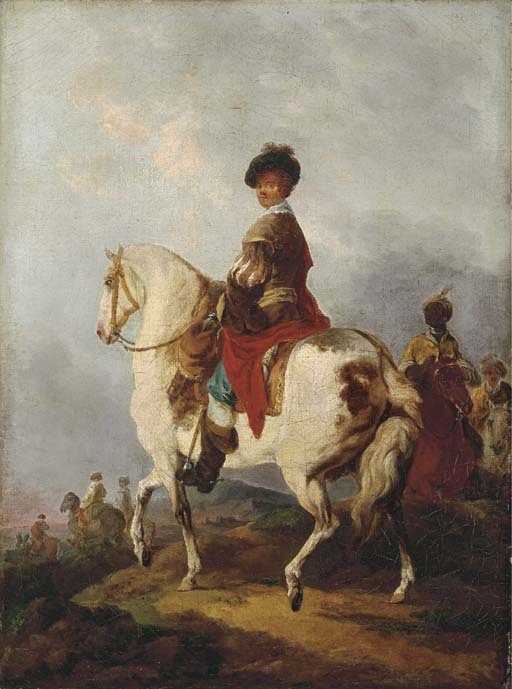 Five years later he moved to Paris where he became a member of the Académie, as well as a much sought-after painter of battle, hunting and equestrian scenes; by 1762, he had been designated Peintre du Roi, a position he retained until 1783, when he moved to Vienna. He continued to enjoy royal patronage, working for the Empress Catherine II of Russia and King Ferdinand IV of Naples.